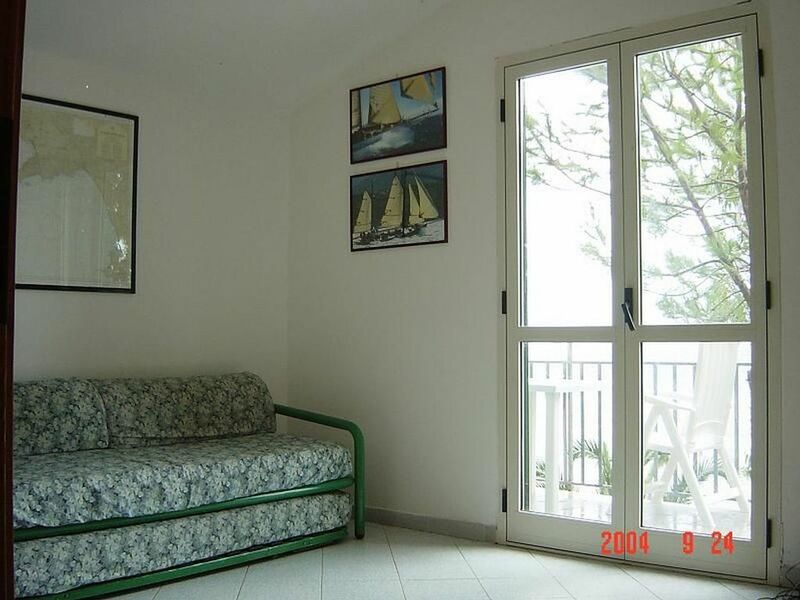 The terraced houses are situated in a beatiful garden of eucalyptus and pines trees, with private parking, external showers, bbq, and direct access to the private beach. Each house has its own balcony accessible through an external stairway. The space below is available for resting, playing, reading and eating. Each house comes with four beds. Three of them are more suitable for two adults and two children while the fourth one can accomodate also 4 adults. The village is very close by, just 15 minuts by walk. There is a washing machine to share. The kitchen is fully furnished. The holiday term is from Saturday to Saturday. Posto bellissimo , mare stupendo,nn lontano da servizi e negozi . Grazie per le belle parole e l'apprezzamento. Speriamo di avervi di nuovo con noi il prossimo anno! Scario is an old fishing village, now more touristic but still very quite and peaceful. It is easily reachable by car or train. It is perfect for enjoying the seaside but also for walking, as the Bulgaria Mountain is close by. The archeological sites of Paestum and Velia are also near. The cookery is delicious. In particular, I suggest the restaurant 'L'incontro' and the ice scream shop 'L'oasi', both located at the heart of the village.